The atmospheric portrait of a young womans journey through. She travels through the unknown. She encounters and searches. Dark wood, orange curtains, tatty carpet. In a state of inertia in the middle of nowhere a young woman books a single room in a remote hotel. Encounters unfold in the anonymity of the building and disappear into the impalpable. 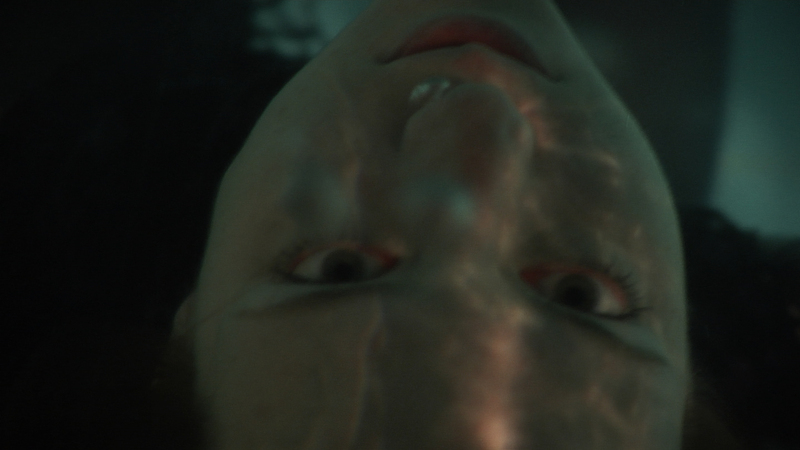 Olivia holds her head under water, looks inward and continues on. MILCH atmospherically portrays a young woman passing through.